What do you think about taking Arabic for a high school language? Look at this course and the screen shots and see what you think. The course covers 16 weeks, or one semester. The cost is $128.00. It's called Arabic Without Walls, and was developed for age high school and above. Now I am not sure how this works online, I am still investigating it and wondering if anyone has tried the BYU online high school courses. 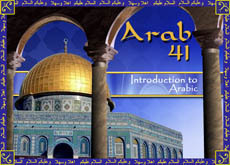 ARAB 041 covers the basics of both spoken and written Arabic and enables students to acquire real-world communication skills, learning to use Arabic as Arabs do. Students learn to use Egyptian Arabic (the most widely understood "dialect") to accomplish day-to-day survival and social needs. They learn how to read and write the Arabic alphabet, to read street signs and ads, and to write basic information about themselves and others. Students are introduced to key aspects of the culture and geography of the Arab world, knowledge that will aid them in their interactions with Arabic speakers. Participation via telephone or an Internet-based communication tool with one of our Arabic-speaking mentors is required. This course is the first in a two-part first-year series (ARAB 041 and ARAB 043) based on the most widely used textbook series and engaging online activities that were developed by BYU and the University of California. 16 lessons, 16 assignment submissions (12 computer-graded [Speedback] assignments, 4 instructor-graded assignments); proctored computer-graded final exam. 11. How Was the Meeting? 12. Is There a Party Tonight?